Iian Jablon is a commercial litigator who represents individuals and businesses in a broad array of complex business disputes in federal and state courts, arbitrations and administrative proceedings. In addition to being a trusted advisor to professionals in numerous fields, he has extensive trial experience, including first-chairing high-stakes cases. Iian’s clients span a wide range of industries. 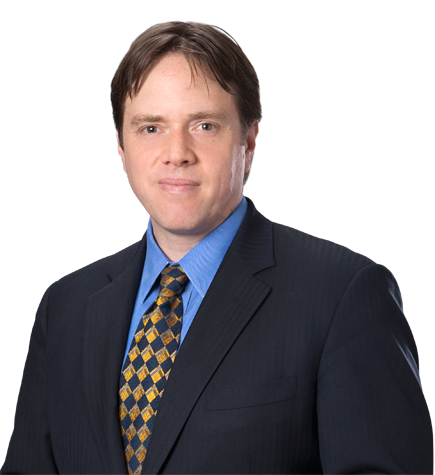 His practice includes professional liability defense, securities litigation, business litigation, intellectual property litigation, complex class actions and white collar defense. He has represented both plaintiffs and defendants in disputes involving business contracts, valuations, securities, patents, real estate, corporate governance, waste of corporate assets, bankruptcy and employment, among other issues. Iian is focused on finding practical solutions tailored to his clients’ business goals. In addition to his litigation practice, Iian serves as the firm’s co-general counsel, which gives him unique insights into the day-to-day issues that many of his clients confront. This perspective enables him to be highly responsive to his clients’ needs and act as a crucial resource on a range of legal matters as they arise. Represented three nationally prominent law firms and several partners at those firms in numerous lawsuits alleging claims for breach of fiduciary duty and legal malpractice. Represented the plaintiffs in a business dispute arising out of the termination and alleged squeeze-out of one of the founding members of a prominent investment management company. The matter settled on confidential terms shortly before trial. Represented a husband and wife in a dispute with their former lawyers over the amount of the contingent fee those lawyers were entitled to for representing the clients in a long-running trust and estate litigation. The matter was tried in federal court in Dallas, and the former attorneys' fee claims were ultimately reduced by more than $25 million. Represented Angelo Mozilo, former CEO of Countrywide Financial Corporation, in a lawsuit filed by the SEC alleging securities fraud and insider trading. A highly publicized settlement was reached with the SEC in the fall of 2010, shortly before the scheduled commencement of trial. Represented Angelo Mozilo in a multi-defendant securities class action filed by several large pension funds. The parties reached a settlement while the defendants’ motions for summary judgment were pending. Iian also represented Mr. Mozilo in several other civil matters between 2010 and 2015. Represented the plaintiff, serving as lead trial counsel, in a complex, multi-party arbitration that included claims of alleged misappropriation of trade secrets, corporate espionage and breach of contract. The matter settled after three days of trial. Represented the plaintiffs in an action in New York Supreme Court alleging misappropriation of trade secrets and interference with contract. The parties entered into a confidential settlement prior to trial. Represented the plaintiff in federal court in New York relating to alleged breach of a securities purchase agreement, including an eight-figure damages claim. Iian successfully moved to dismiss a cross-action filed by the defendant in Oklahoma, and the parties subsequently settled. After a one-week arbitration, Iian won a defense award in favor of his clients on all claims, including claims for fraud and negligent misrepresentation in connection with the sale of a business division. Iian's clients also obtained a seven-figure attorneys’ fees award against the claimant. After a seven-day trial, Iian won a defense award in favor of his client on all claims, including claims for breach of fiduciary duty, breach of contract and other alleged misconduct. Iian's client was also awarded attorneys’ fees. Won a summary judgment for his client in this complex, multi-party probate court litigation involving alleged misuse of trust assets. Won summary judgment for his client on claims for tortious interference and unfair competition and then obtained a published affirmance from the Federal Circuit. Represented a prominent Texas businessman accused of making false statements in connection with a loan application. Iian’s work on the matter contributed to the criminal charges against the client being dismissed by the trial court. Represented the prominent owner of a large private machine tool company who was accused of a multimillion-dollar tax fraud and conspiracy. Represented a former executive vice president of Homestore Inc. who was accused of securities fraud and insider trading. Represented a former CEO of a publicly traded technology company who was accused of multiple counts of securities fraud, wire fraud and money laundering. After a lengthy trial, Iian won an acquittal for his client (a tax lawyer) on all five counts of tax evasion and conspiracy to evade taxes.